A sip of limoncello feels like a kiss from the sun. It was one of those moments travelers cherish, when every one of the senses is creating its own mental snapshot of the experience. I found myself having one of those moments in Sorrento while first sipping limoncello. 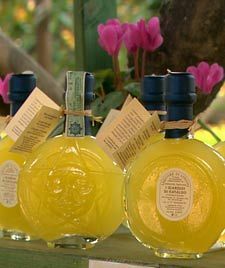 Limoncello, a liqueur and digestive, gets its flavor and distinctive, almost neon-yellow color from the infusion of the skins of locally grown lemons in pure alcohol. Historically having been a staple along the Amalfi Coast, its popularity has grown throughout Italy and now has become the second most popular drink after Campari. The drink is like a kiss from the sun and is most often served after meals. The liqueur is best kept and served ice cold, preferably in a chilled aperitif glass. Italy is the world's largest producer of lemons so, naturally, Italians have developed a delicious way to use the plentiful fruit. Citrus trees dot the landscape throughout Italy but along the Amalfi Coast you will find lemon trees growing in abundance. The ground here, alternating layers of tufo and limestone, creates the perfect soil for the cultivation of the lemon variety known as "Sorrento" lemons. The terraced groves hug the coastline and produce lemons, as my friend commented, "...as big as your head!" Although not the truth, neither is the statement far from fact. This lemon variety is so particularly sweet that locals eat thick slices of the fruit, skin and all, with, perhaps, just a dusting of sugar. As in all of Italy, growing and producing agricultural-based products follows strict guidelines to ensure integrity of the end product. Methods of cultivation are region specific and the lemons from the Sorrentine Peninsula and the island of Capri follow the rules for the Limone di Sorrento IGP (Protected Geographic Indication) resulting in, most arguably, the best limoncello. Legends have it that limoncello and other liqueurs of fermented spices, fruits, and herbs were developed in convents. In the early 1600s, the nuns of the Santa Rosa convent in Conca dei Marini were using this citrus-based liqueur to give their famous lemon pastry sfogiatella Santa Rosa its authentic taste. Today, wandering the streets of Sorrento, or any other small village dotting the coastline, dozens of shops fill their window displays with a myriad of beautifully shaped bottles of this elixer. Step inside and you're likely to be handed a sample of this sunshine in a cup. For a little different taste experience, taste the "Cream of Limoncello," a delicate cream liqueur that is sweeter, thicker, and paler than the regular version. As is custom throughout Italy, the people here have been using the fruits of the soil to give life, too, to tradition. There is no one recipe for this liqueur. Each family makes it according to their family's taste preference and then hands their well-guarded version down through the generations. Since lemons are harvested throughout most of the year, there is ample opportunity for stashing away many bottles of the family's recipe. 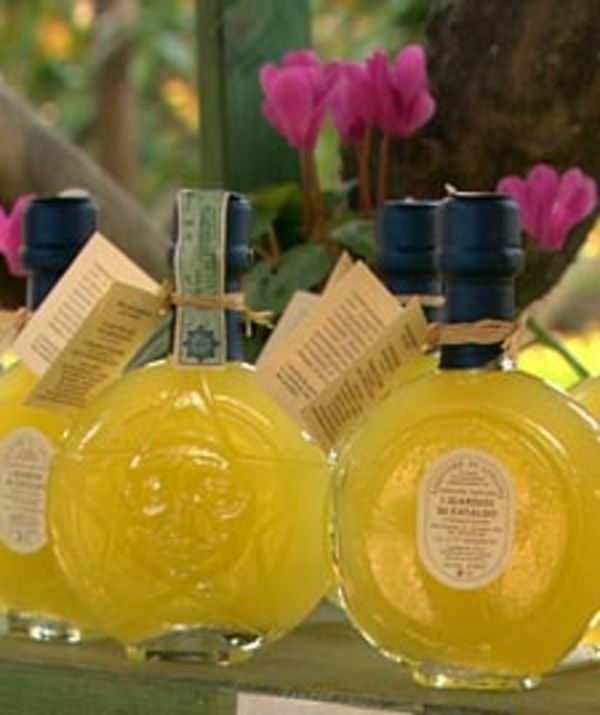 It has only been in the last century that limoncello has been commercially produced. Availability is limited here in the United States but check the Internet for potential retailers in your area. Another option is to try to make your own. It may not taste as good as Nonna's but you can have an enjoyable time experimenting. Be sure to use organic lemons since you will be soaking the peels for the flavor. Regular lemons are chemically treated and often have a waxy coating. Also, since you won't be able to find Sorrento lemons here in the States, try Meyer lemons, instead. Take a sip of your limoncello. Smell the aroma of the lemon and see the vibrant color in your glass. Close your eyes and you will be transported back to Italy, hear the rustling of the leaves of the lemon trees as the breeze comes in from the Bay of Naples. Feel the warmth of the sun on your skin. Take another taste and feel the cold liqueur cool your taste buds. Remember how it was such a welcoming finale to your Italian meal. 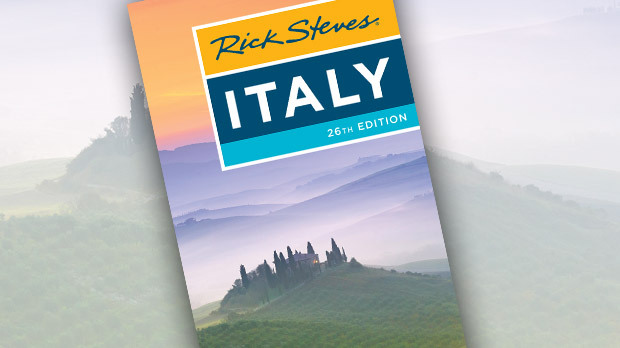 As you drink in the memories and drink in the liqueur, you may find yourself dreaming of your next sojourn to Italy. 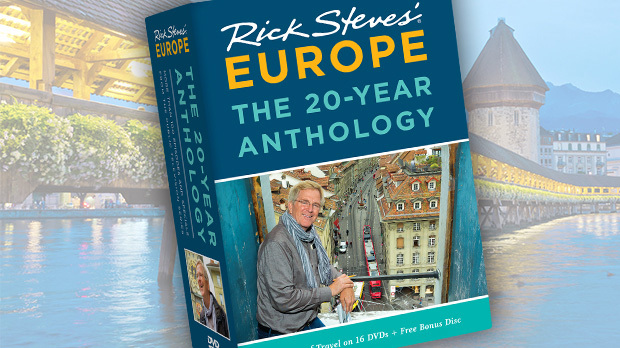 A long-time member of the Rick Steves staff, Jayne Cain has also assisted on many Rick Steves tours.